Unless you’ve spent the last 15 years in a cave or something, Harry Potter needs no introduction, and I doubt that there’s anything I can say that would convince you to read them if you haven’t already. However, I’m supposed to be reviewing everything on this blog, and the Harry Potter series actually ended up being a big part of my life, so I feel like I’d be remiss not to. 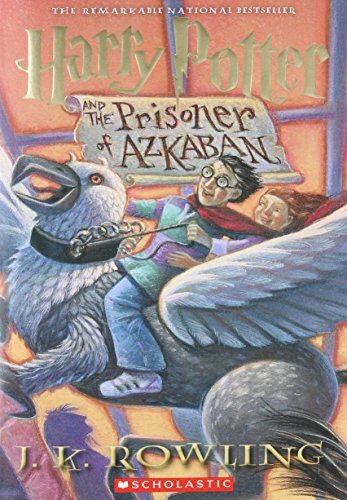 I remember first learning about the series in a Newsweek article about it back in the late 90s, about the time Harry Potter and the Prisoner of Azkaban came out. The premise intrigued me, and I ended up getting the first book as a birthday present for my younger brother. It was a hit with the whole family (minus my mom, who doesn’t like the fantasy genre and refused to try it until years later, when my daughter cajoled her into reading the first book out loud together). Soon after finishing the second and third book, I went off to college, where I was delighted to discover that a bunch of the other girls in my dorm were fans, too. There was an empty room on our floor and we had fun making it “Harry and Ron’s Room” and leaving messages on the whiteboard from Hermione, You-Know-Who, etc. One of my friends even wrote Harry Potter fanfiction (including a fic that ended up being pretty popular), but I didn’t understand the appeal at the time and never really got into it. A few years passed and I graduated, got married, and continued enjoying the series. Then my husband and I moved across country for the first time, leaving behind our family, friends, and my job. I started working at home, picking up assignments as a freelance writer, but I still had long hours to kill at home while my husband was at work because we didn’t have any children at that point and I was, frankly, too terrified of California drivers to go anywhere. (I learned to drive on the type of rural Nebraska backroads where you wave at other cars as you pass and anything more than three in five minutes qualifies as a traffic jam; Southern California traffic nearly gave me a heart attack.) I was lonesome and bored a lot, and one of the things I missed was talking with my brother and friends for hours about Harry Potter. So I joined the Harry Potter forums at FictionAlley Park. I was intending to hang around for discussion of the books, not fanfiction, but one of the first things I discovered was that I wasn’t the only person who’d always secretly suspected Remus Lupin and Sirius Black of being something more than simple friends. From the HMS Wolfstar threads it was an easy slide into Wolfstar fanfiction, and from there to reading other Harry Potter fanfiction, and from there to writing it myself. Although I’m not really an active member of the Harry Potter fandom anymore, it was my gateway fandom and still my most intense and obsessive fannish experience. I miss it. 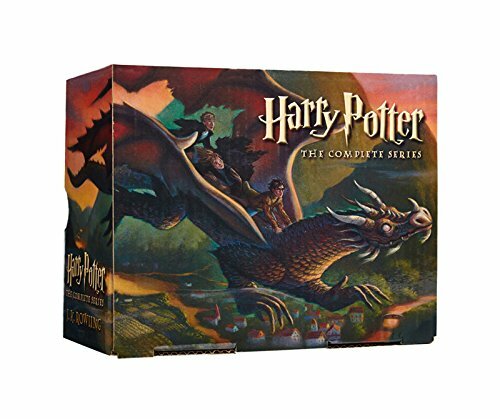 What was it that so captivated me about the Harry Potter series? Probably the biggest single factor was the worldbuilding. Despite its periodic issues with dark wizards, anti-Muggle racism, and the like, the wizarding world of Harry Potter is a fantasy world that you want to be a part of. Rowling’s heavy use of whimsy and clever wordplay gave the wizarding world a rather old-fashioned, nostalgic atmosphere that felt simultaneously cozy and limitless. Especially in the early books, she did an incredible job capturing Harry’s wonder and awe as he explored his new, magical world. The characters were another major draw. With a huge and diverse cast of characters to choose from, practically every reader is guaranteed to get attached to someone. Personally, I got attached to many. As a feminist, I especially appreciate the many wonderful and memorable female characters. 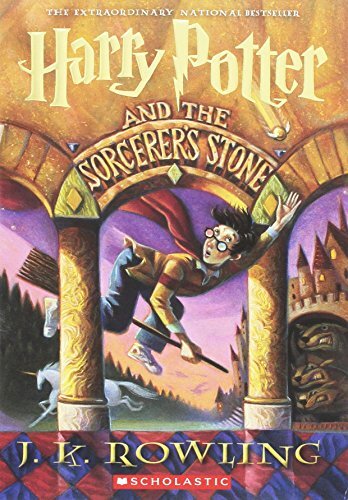 The Harry Potter series got off to a great start with this book, which introduced us to Harry and the Wizarding World and made us instantly fall in love with both. As a fan of both the fantasy and mystery genres, I also enjoyed the clever use of mystery elements in the first three books. The weakest of the early books, but still quite good. A much creepier mystery than the first book. My favorite book in the series. The best and most tightly plotted mystery, plus the introduction and largest role for my favorite character in the series, Remus Lupin. Amazing as it is that JK Rowling had children the world over reading a book longer than The Canterbury Tales, I think Goblet of Fire is where Rowling and her editor started to lose control of the series a bit. The mystery elements were not as well plotted and there was lots of stuff that seemed kind of superfluous and unnecessary. Still enjoyable, but a step down from the previous. I have seriously mixed feelings about Order of the Phoenix. On the one hand, there are few tropes I hate more than prophecy plots. (Ugh.) One of the few happens to be plots that wouldn’t exist if people just sat down and TALKED to each other. Basically the entire plot of this book wouldn’t exist if Dumbledore had just sat Harry down and told him what was going on, and it drives me nuts every time I reread it. Frankly, it ruined my opinion of Dumbledore and I’ve disliked him ever since. Forcing Snape to give Harry occlumency lessons was also inexcusable, imho, both because Harry wouldn’t have needed them so much if Dumbledore had simply told him what sort of manipulations Voldemort would attempt and because Snape is a terrible teacher at the best of times, and even worse than usual with Harry. On the other hand, Order of the Phoenix has so many of my favorite subplots and scenes it’s probably the book I reread most after Prisoner of Azkaban. I especially love the stuff with Dolores Umbridge (by far the best villain in the series, and one of the best ever written, imho) and the Order itself. As a big Neville fan since book one, it was lovely to see him get to come into his own more with the Order’s help, and I also adored Luna Lovegood, who was introduced in this book. My least favorite in the series. I disliked it so much that it’s the only one I’ve never re-read, so I don’t even remember entirely why I disliked it, but a big part of the reason was the amount of focus on Voldemort, who is boring, and Snape, who I hate. The romantic entanglements of the characters were also more annoying than interesting. Better than Half-Blood Prince, but just not as satisfying or fun as the early books.